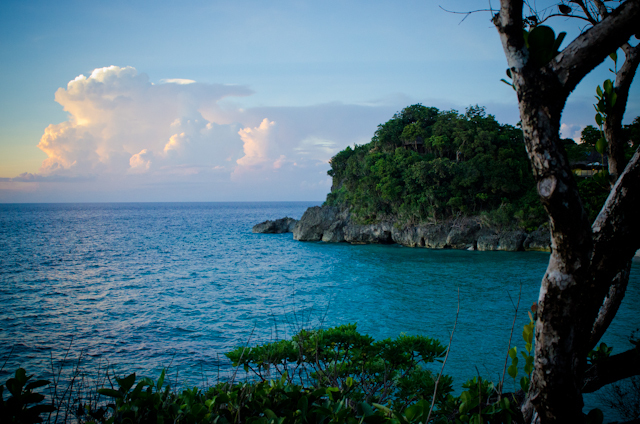 So I was in Manila for the first time however this was not the time I explored the capital, the following morning I had a flight booked to Boracay and a night in Shangri-la's Boracay Resort And Spa. I did this bit on my own as it was a treat to myself and no one could afford to come with me! 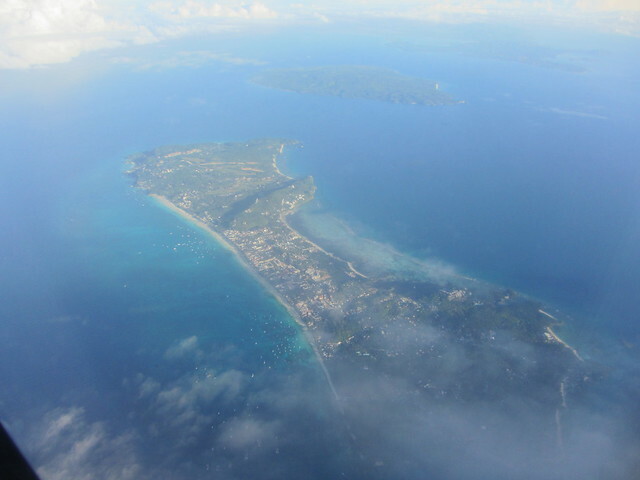 Here was my first look at the popular holiday island from the plane. Now this was what I was waiting for after an amazing none stop and cool week in the mountains! Beach time! Staying at the Shangri-La was one of the greatest experiences in my life and I don't regret a single penny I spent on it! From arrival into the airport (which is still a boat ride from the resort) I felt like James Bond as I was met by a representative who gets your bag and hurries the paperwork in the airport. You are then escorted to a van with no opportunity to be hassled by the people outside. 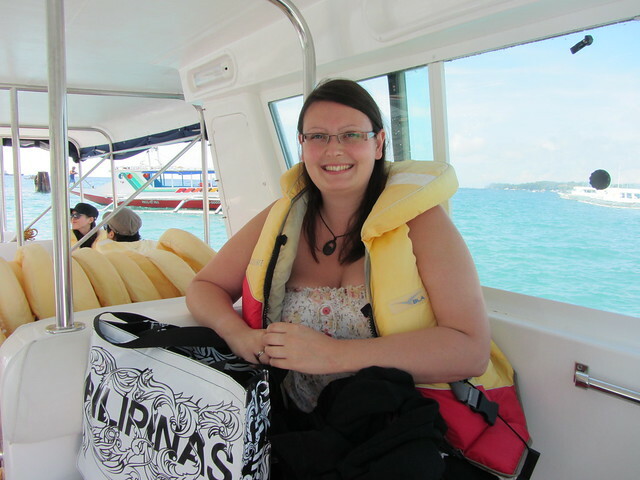 From van to holding room with wet towel and drink before your speed boat is ready for you. My photographs cannot really represent my room, particularly the size of it properly! But this was my bed. And the balcony I skyped my Mum from later that night because of course the internet was the fastest I'd encountered anywhere! The bathroom was just as big which two entrances, and a massive bath which I enjoyed very much! I had planned my time at the Shangri-La very carefully because I only had one night, so of course, although overwhelmed by my room, I got myself out for an explore and there were more people to take my picture! 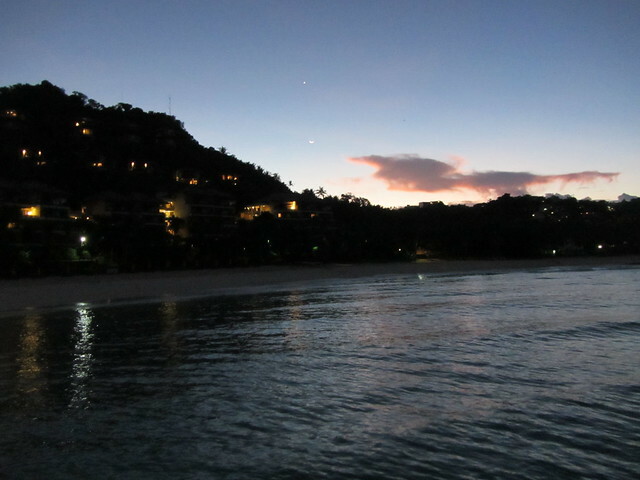 This is the smaller and nicer of the two beaches in the resort, after seeing the key viewpoints and choosing a restaurant for dinner I was straight into the sea at this spot, and then the pool, leaving with enough time to change and be out for sunset. 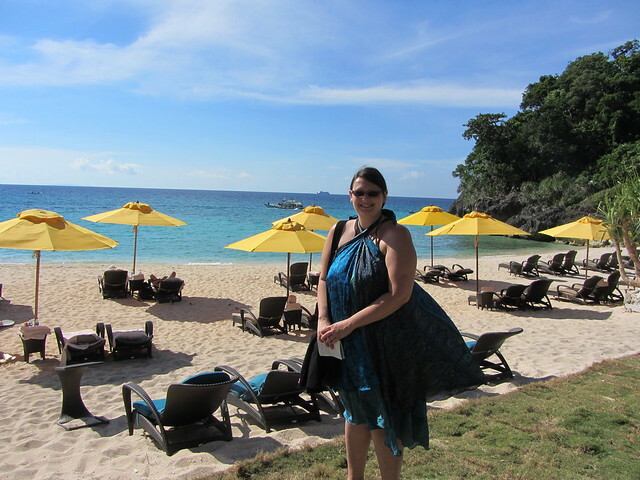 And of course there was more staff on hand offering to take my picture! 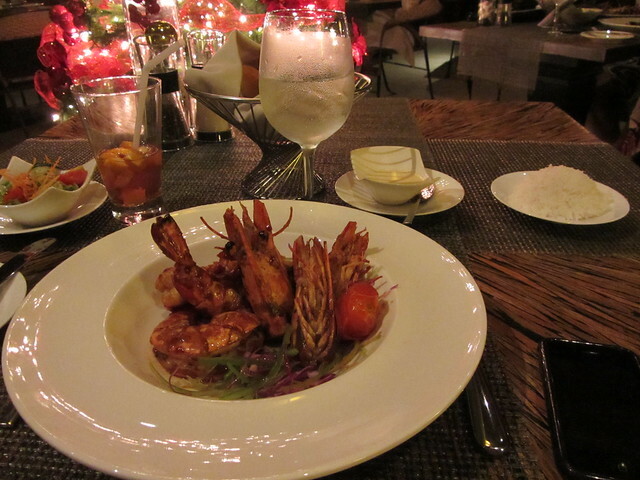 I chose the fish restaurant for dinner and had catch of the day shrimp! 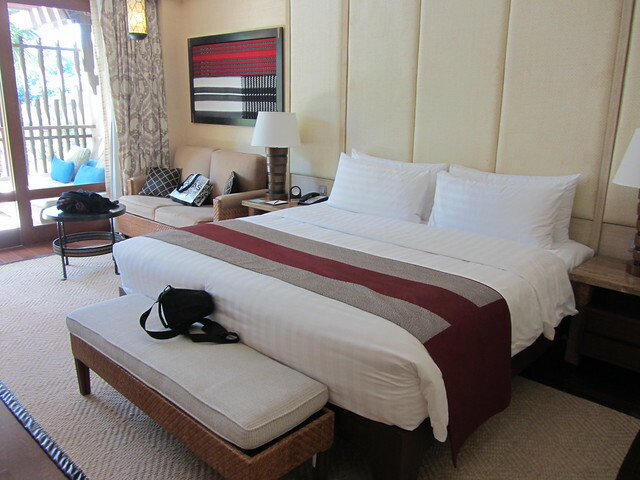 When I returned to my room the bed had been turned down with chocolates on the pilow! I had the best night's sleep! In the morning, following a breakfast of every type of food you could desire (which after a week of rice was a regular bowl of cereal with milk and some incredible fruit juices!) I went out to take the panorama views that I can't resist any more! 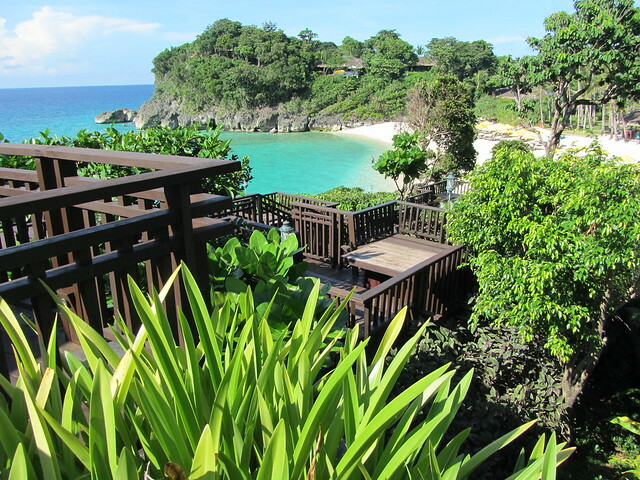 And this is the smaller beach, with the pool directly behind it and it was nearer my room so generally my choice but it seemed to be everyone else's too! 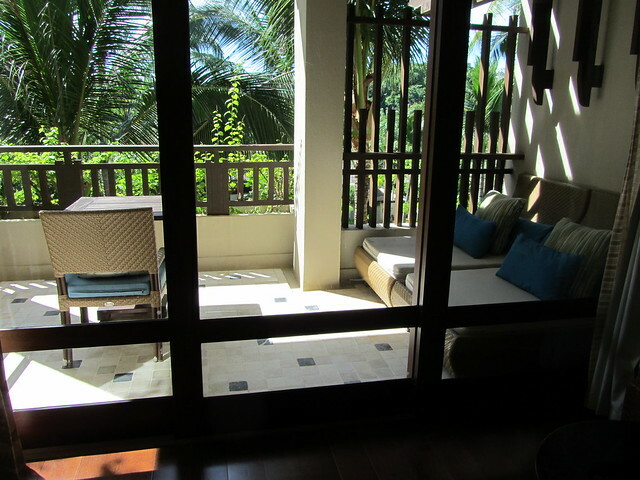 And the infinity pool, at the far end looking out to the beach. A different angle, you can see the yellow umbrella's of the beach. I then went and enjoyed the pool before having to check out! 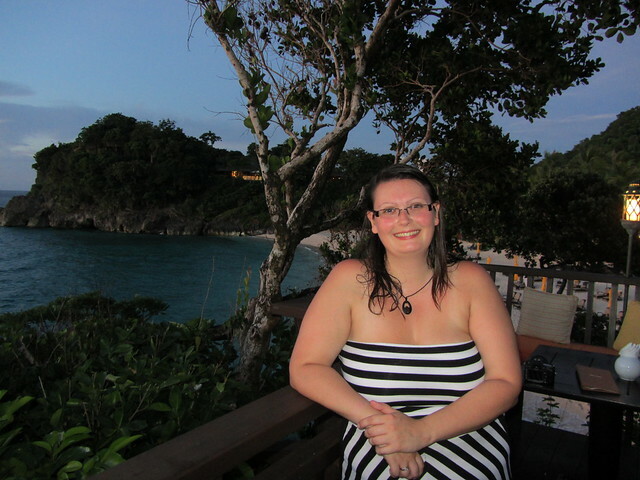 I hadn't booked anywhere for my second night, I knew I wanted to see the main white beach area but also my next flight was 7.30am the next day so it was just a quick stop. Of course Shangri-La wanted to help you to your door so I quickly picked a mid-range from Lonely Planet, back into the James Bond van and taken to the door by Shangri-La staff. 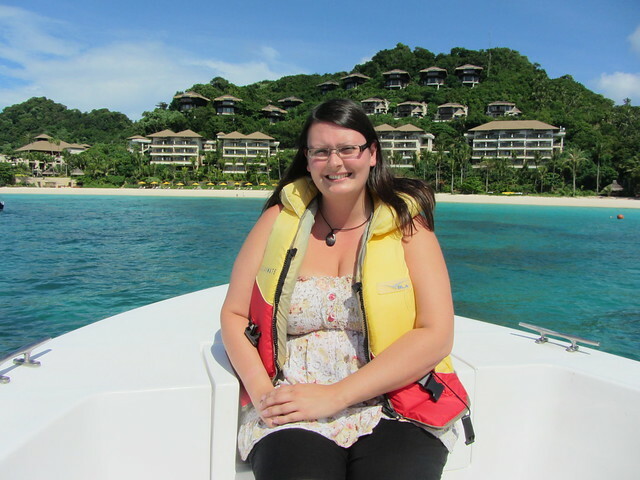 Then the best bit, during this time of being helped I found out that my airport transfer still applies so if I got myself back to Shangri-La at 5am I could take the speed boat back and save on terminal and boat fees- amazing! 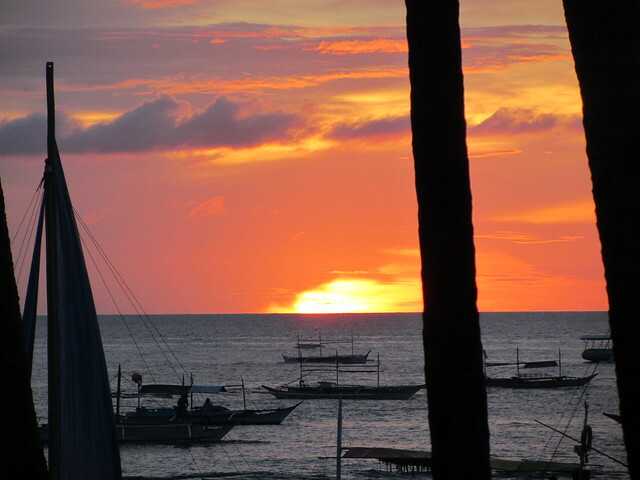 So now was my time to see the Boracay that everyone else sees. 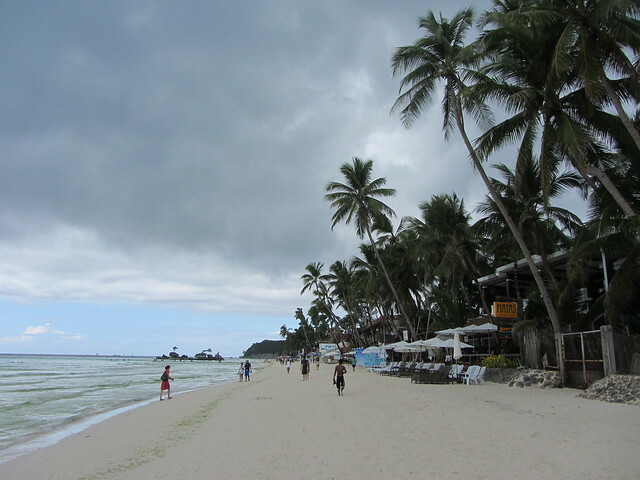 This is the beach, it did rain that afternoon unfortunately, but I went and had a massage in a hut anyway! 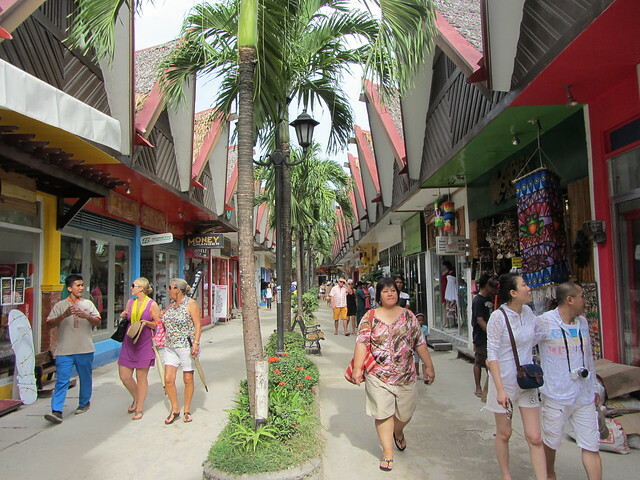 And this is what they call the D Mall. 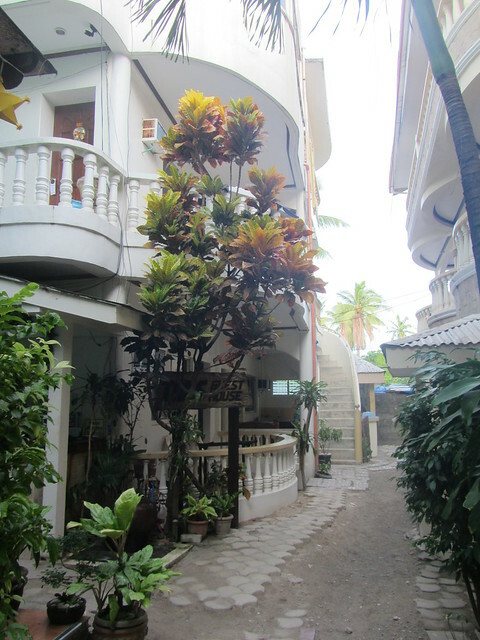 And the second floor of this white building was where I stayed that night, Tans Guesthouse, I would recommend it particularly as it was just behind the main strip and therefore quiet! 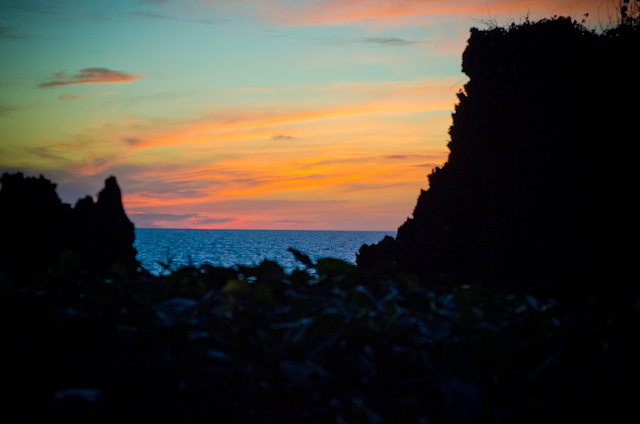 I had dinner with a sunset view and an early night. 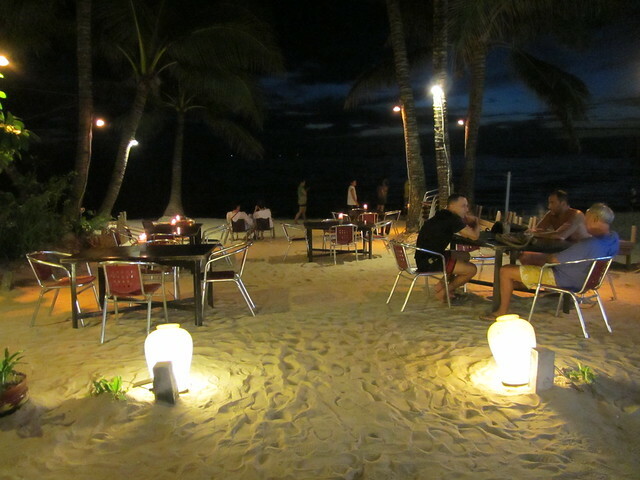 And this is what the fuss of these resorts is about, dinning and drinking on the beach. 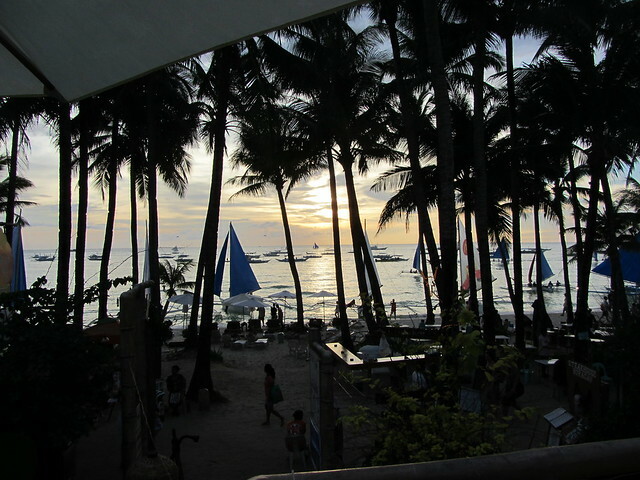 The main strip of Boracay was reflected in the much smaller Alona Beach, Bohol, my next stop. 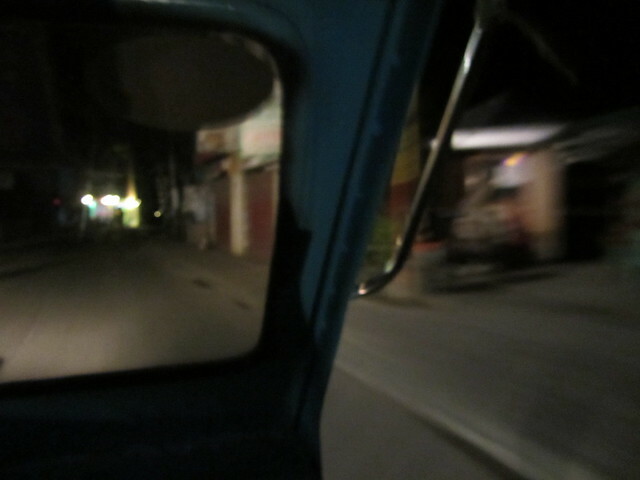 This next picture is taken while travelling back to Shangri-La in a tricycle at 4am! 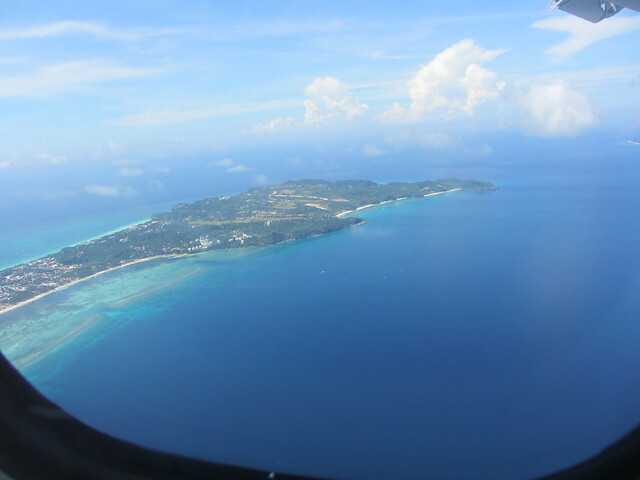 Next stop Cebu and straight onto the incredible Bohol. Great article. I already bookmarked it.